A painting at a Connecticut museum that has long been thought to be by Vincent Van Gogh is authenticated as such by Dutch researchers. A painting at a Connecticut museum that has long been thought to be by Vincent Van Gogh has been authenticated as such by Dutch researchers. 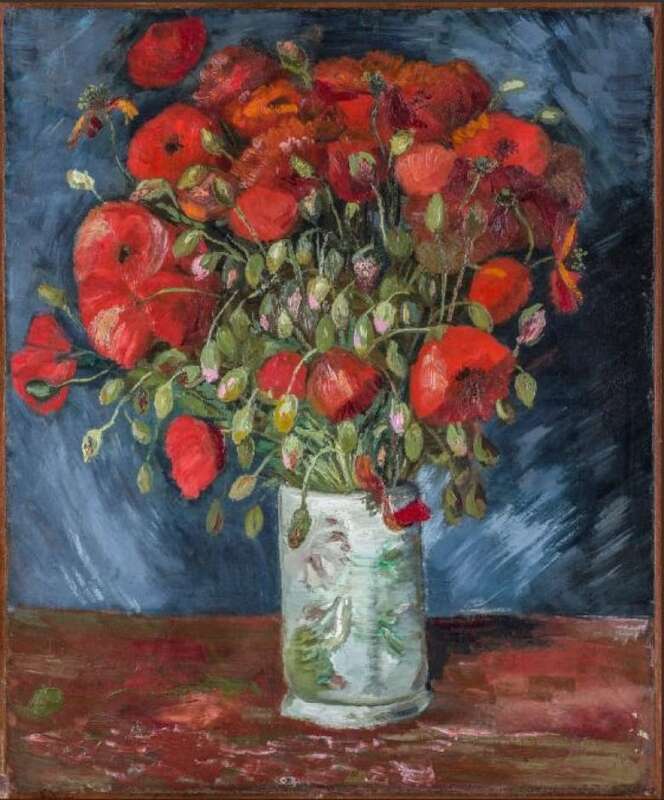 The Wadsworth Atheneum in Hartford announced Friday that the oil painting Vase with Poppies has been verified by researchers at the Van Gogh Museum in Amsterdam as having been painted by the Dutch artist in 1886, just after he moved to Paris. "One can say that slowly but surely, real progress is being made in Van Gogh studies. Some of these floaters even turned out to be firmly anchored in Van Gogh's oeuvre, and Vase with Poppies, I am happy to say, is one of them," said Louis van Tilborgh, a senior researcher at the Van Gogh Museum. Vase with Poppies will go back on display in April.